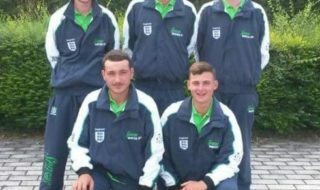 Team Ireland Continues To Shine at European Police Angling Championships. The Garda Siochana Coarse Angling Club has continued to dominate the podium at the 26th European Police Angling Championships in Aschaffenburg Germany. The 2013 event was held on the River Main and local lakes at Aschaffenburg Bavaria Germany on the 13th and 14th September 2013. Following the unavailability of two club members the new look Irish Squad of Donncha Maguire (Ballymun) Eamonn Bracken (Garda Water Unit Athlone) Keith Coleman (Castlebar) Ernie Henderson (Tralee) Peter O’Connor (Finglas) Derek O’Raw (Bridewell) and Joe Kiernan (Swords) performed beyond expectation to finish third in this event ahead of the much fancied host Nation Germany and current European Champions Belgium coached by angling legend Michelle Van Den Eynde. The Irish Squad departed from Irish Shores on Saturday morning 7th September and following an overnight ferry and 12hour drive arrived at 3am Monday Morning in the picturesque German City of Aschaffenburg. On Monday September 9th the Irish practised on the local lakes where significant catches of bream to 3 kg were had by Ernie Henderson, Keith Coleman and Donncha Maguire. The following days were spent on the magnificent and majestic River Main on conditions alien to Irish anglers. This beautiful river is a major continental shipping route housing thousands of large shipping cargo barges some hundreds of metres in length, coupled with the strong flow and steep banks made fishing difficult but the Irish anglers were quick to adapt landing exotic species including barbel, chub, ide, black goby and large roach. With a team plan devised and top tackle supplier by Maver UK all Irish anglers arrived on the bank for competition day ready to commence battle against their European Colleagues. A specific groundbait mix from Champion Feed was devised for this event. Tackle used would be all Maver with 13m Maver Elite Carp Poles were to be used with match kits coupled with Maver 8 and 10 latex, 2g pole floats tied to 0.14 genesis line. For the feeder it was Maver Reactorlite 12ft feeder rods with 0.22 stone river mono to 0.14 genesis extreme hook lengths. Twenty-three teams competed in this event representing Ireland, United Kingdom, Hungary, Italy, Holland, Belgium and indeed the host nation Germany. Following a difficult first day, results indicated that the Irish Team were in third place with 52 points behind the UK with 36 points and Germany with 46 points. Notable Irish results included both Irish International Donncha Maguire and Eamonn Bracken who scored 4 points each from 23 from un-fancied sections. 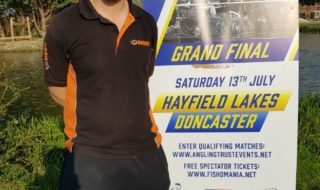 Following a discussion a plan was devised for the second day where three anglers had to fish the un-fancied lake sections where the Irish finished second on the final day to Hungary. Ernie Henderson dominated most of the field on the See Hotel to score three points from an un-fancied area. The five Irish anglers scoring an impressive 38 points resulting in them overtaking Germany and maintaining the third position on the podium. Both Germany and the UK has poor second days resulting in England dropping to a disappointing second place and Germany dropping to fourth. When the final results were announced it became apparent that the Hungarian team following a tremendous performance coming from fourth place to take the title with 89.5 points. The UK team following their disastrous second day came a close second with 90 points some 4 points ahead of the ever consistent Irish Team. Germany claimed fourth spot with 105 points; Italy came 6th with 114.5 points and finally Holland and reigning champions Belgium coming last with 117 points. The individual competition was dominated by the German nationals who took five of the top six individual placing. The event was won by German Ralf Rosarius with am impeccable 2 points. Dave Stockton of the South West UK Team was second with 3 points and Andreas Herzhauser of Germany was third with 3 points. 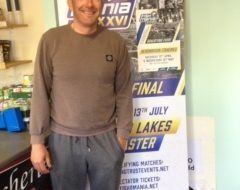 The Garda Siochana Coarse Angling Club would like to thank Mr Phil Briscoe of Maver UK for his continued support for this event. Peter and Kathy Nicholson of Irish Bait and Tackle for the excellent bait and Alain De Rouck of Champion Feeds in Belgium. It is hoped that this relationship with will continue for many years to come. The proud Irish Team travelled home from a superbly organised event on Sunday 15th September 2013 their heads held high. Next years European Police Championships are due to be held near Ghent Belgium and the Irish Team will attend to continue to dominate this event.